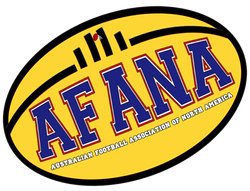 This mailing list is for those organizing Grand Final parties or providing AFANA with Grand Final party announcements. If you are a party organizer, venue manager, or host, please consider adding yourself to this mailing list so we can keep you up to date with information on the big day! Besides our "call for party listings", this mailing list distributes information on Grand Final day timelines, performers, late breaking TV changes, and more. It is not a list of announcements itself, just a notification list for organizers with information on when and where to send announcements, grand final tv coverage info, and other related things party planners need to know. The list is intended for those organizing parties in North America though others are welcome. Enter your e-mail address in the above box. Select the Subscribe or Unsubscribe button and press Submit. You will receive a confirmation message in your mail box within a few minutes.